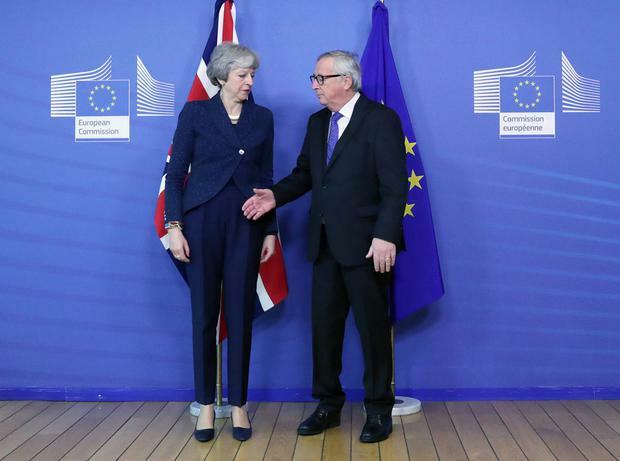 Theresa May has arrived in Brussels for crunch Brexit talks after insisting that the UK must not be "trapped" in a backstop deal. Both leaders struck a business-like stance as they posed for pictures and did not respond to reporters, including one who asked: "Is this hell Prime Minister?" A protester waving a placard reading "Don't crash out" leaped out in front of the PM's convoy as it arrived at the Commission's Berlaymont HQ but was quickly whisked away. David Lidington, who is effectively Mrs May's deputy, said Mr Tusk's comment "wasn't the most brilliant diplomacy in the world". 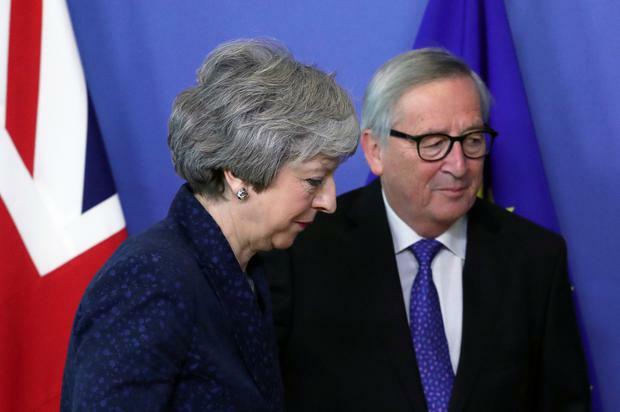 He told BBC Radio 4's Today programme: "I think Mr Tusk was venting yesterday, but I don't think that will detract from what I expect to be a courteous and sensible grown-up discussion between the different EU leaders and the Prime Minister." Mrs May's latest diplomatic offensive comes as Labour leader Jeremy Corbyn wrote to the PM setting out five demands, including joining a customs union, that would need to be met for Labour to back the Government on Brexit. Downing Street confirmed that Mr Corbyn's letter had been received, and a spokeswoman added: "We will reply in due course. Our positions on many of the issues in the letter are well known. Our position on the backstop has not changed." Downing Street said that Mrs May is "open to different ways" of achieving her objectives on the backstop. The PM is using the meetings to state that Parliament has sent "an unequivocal message that change is required". But it is understood that she does not have a specific proposal for change to present to Brussels at this point. Mrs May was offered a chink of light by German Chancellor Angela Merkel, who again ruled out reopening the Withdrawal Agreement, but said she believed "solutions" could be found. Speaking during a visit to Slovakia, Mrs Merkel said: "I think we can find solutions without reopening the Withdrawal Agreement. That is not on the agenda for us." One of the PM's key messages for EU leaders is that the Commons has made it clear it could support the Withdrawal Agreement as long as concerns about the backstop are addressed. In Mr Corbyn's letter to the PM, which follows their Brexit meeting last week, he insists that Labour's Brexit demands must be enshrined in the Political Declaration setting out future relations with the EU. He calls for a "permanent and comprehensive UK-wide customs union" that gives the UK a say over future trade deals, and close alignment with the single market, underpinned by "shared institutions". Mr Corbyn also calls for "dynamic alignment on rights and protections" in order that UK standards do not fall behind those of the EU, as well as commitments on participation in EU agencies and funding programmes, and "unambiguous agreements on the detail of future security arrangements, including access to the European Arrest Warrant and vital shared databases". The letter drew criticism from some pro-EU Labour figures who said it went against Labour's Brexit stance. The possibility of a "disruptive" Brexit is causing economic uncertainty in the EU, commission vice-president Valdis Dombrovskis said, as Brussels revealed its latest economic forecast. 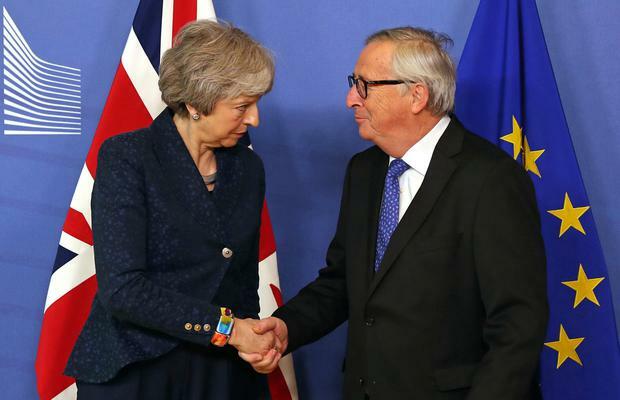 The EU economy is expected to grow 1.5% in 2019, with the UK's forecast at 1.3% - although this is a "purely technical assumption" based on a status quo relationship with Brussels. Mr Dombrovskis said: "The possibility of a disruptive Brexit creates additional uncertainty." Among the prominent EU figures Mrs May is meeting is European Parliament Brexit coordinator Guy Verhofstadt who joined in with Mr Tusk's Brexit "hell" analogy. Meanwhile, the Daily Telegraph reported that Mrs May is seeking to delay another Commons "meaningful vote" on the Government's Brexit stance until the end of February - just a month before the UK is scheduled to quit the EU on March 29.